The children who came late waited in the class. The new teacher who has short hair is from Spain. 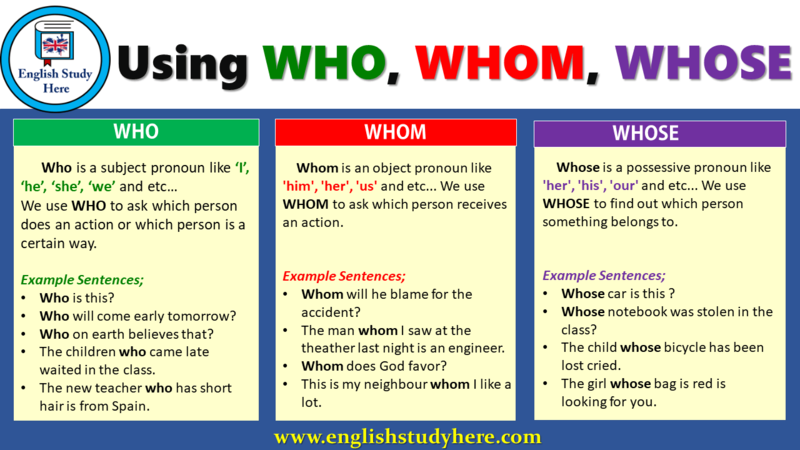 Whom is an object pronoun like ‘him’, ‘her’, ‘us’ and etc… We use WHOM to ask which person receives an action. Whom will he blame for the accident? The man whom I saw at the theather last night is an engineer. The lesson is realy helpful to me, I realy appreciate it.